Hockey is a major sport at St Edmund’s and all girls, regardless of their ability, receive regular hockey training during the Michaelmas term. We currently field mainly A and B teams in younger year groups and are currently rolling this our through all age groups. Our fixtures are generally played on a Saturday morning with some during the week and opponents include local state and independent schools. 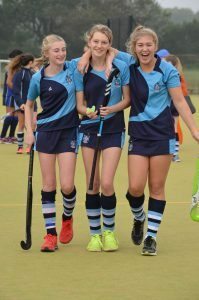 The school has a sand based, flood lit, Astroturf pitch and we also play indoor hockey after school during the Michaelmas and Lent term to ensure that skills and techniques are maintained throughout the year.